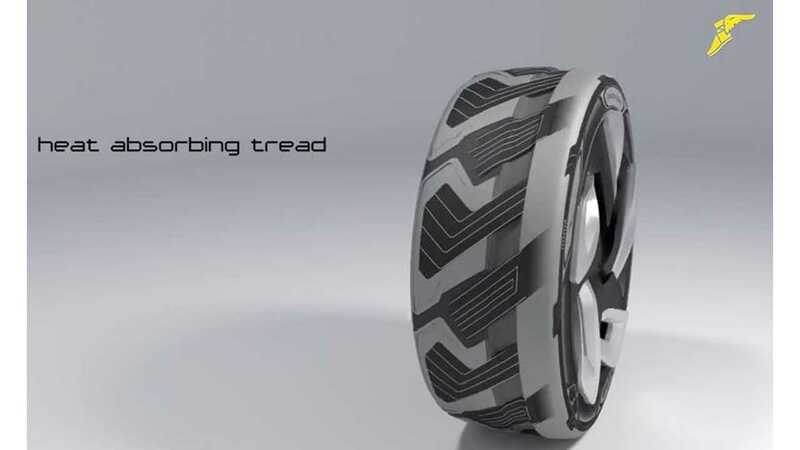 Goodyear Concept BH03 Electricity Generating Tire - A New Form of Range Extender? 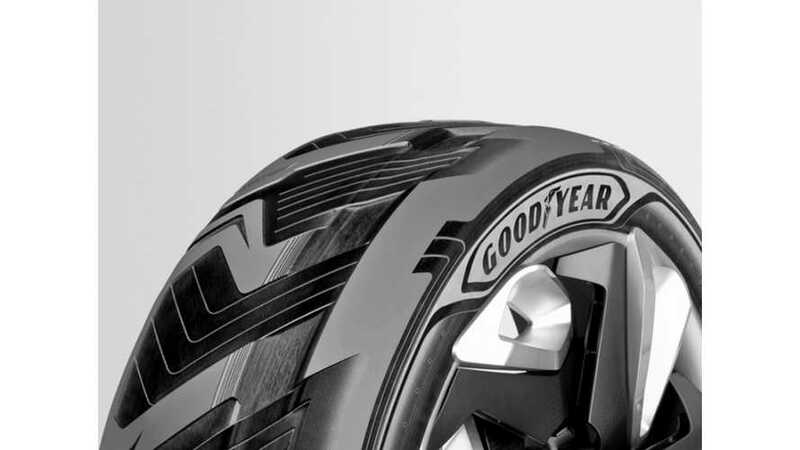 The Goodyear Tire & Rubber Company introduced the BH03, a radical concept tire at the 2015 Geneva International Motor Show that directly effects the plug-in electric car and hybrid markets. This tire generates electricity through both static and dynamic actions through materials that transform the energy created by heat when it flexes as it rolls during normal driving conditions as well as heat from light when it is stationary. The materials used optimize the tire's electricity generation capabilities as well as its rolling resistance. Automotive tires have been treated both as a commodity of price at one end and one of performance at the other. It is almost certain that such a concept will be met with two reactions. The first reaction to such a concept might be that the cost could never justify the energy saved. The second however, would ask what value one would place on this new type of range extender. The EV market has only just begun. This technology has the potential to significantly contribute to the of future of the EV automotive sector. This new approach of extending range just might gain some traction. No word on the amount of energy that might be generated. GENEVA, Switzerland, March 3, 2015 -- Two groundbreaking concept tires unveiled by The Goodyear Tire & Rubber Company at this week’s 85th Geneva International Motor Show could radically change the role of car tires in the future. BHO3 This tire generates electricity through the action of materials in the tire that capture and transform the energy created by heat when it flexes as it rolls during normal driving conditions. The materials used would optimize the tire’s electricity generation capabilities as well as its rolling resistance. TRIPLE TUBE This tire features three internal tubes within the tire. Tubes are located beneath the tread and near the inboard and outboard shoulders of the tire as well as the center. The tire relies on an internal pump that moves air from the main air chamber to the three individual air chambers, or tubes. The tire automatically adjusts – on its own – to three different positions based on road conditions.
. The Eco/Safety position – with maximum inflation in all three tubes – offers reduced rolling resistance.
. The Sporty position – with reduced inflation within the inboard shoulder tube – gives drivers dry handling through an optimized contact patch.
. The Wet Traction position – with maximized inflation in the center tube – provides high aquaplaning resistance through a raised tread in the center of the tire. Although these tires are future concepts, Zekoski says they represent an essential aspect of Goodyear’s innovation strategy, instilling a forward-looking, market-back mindset in the company’s research and development teams.